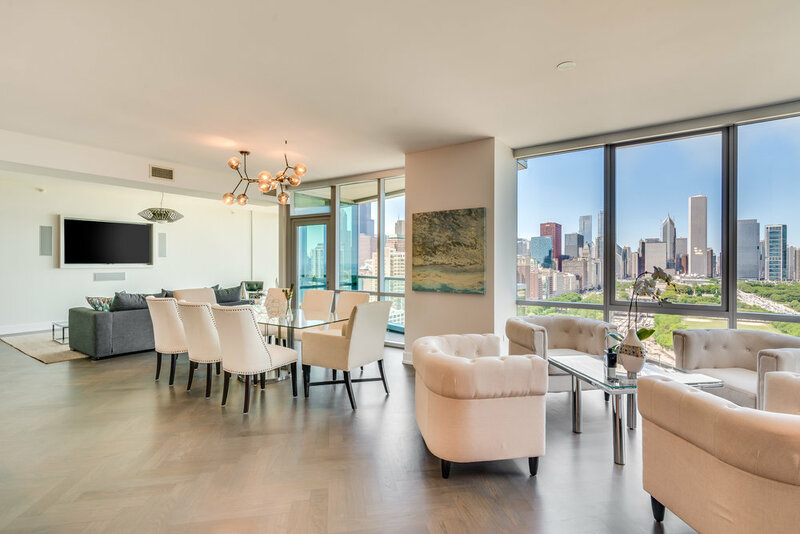 Sprawling 4623 square foot, five bed, four and a half bath single level condo with jaw-dropping views of Grant Park, Lake Michigan, and the Chicago skyline. 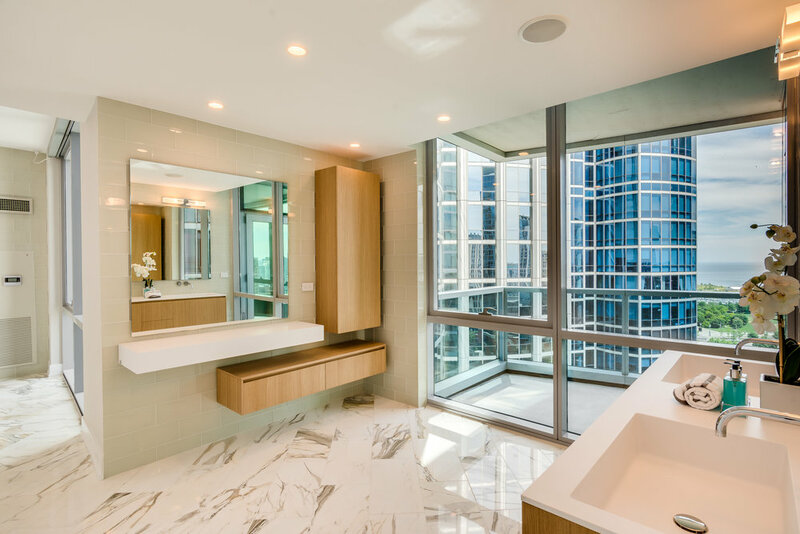 Outfitted with top of the line finishes throughout including Ernestomeda custom kitchen, Wolf and Subzero appliances, wide plank herringbone floors, and custom closets. The unit has fully integrated electronic system set up on a provided iPad that allows control of Lutron Light System, solar shades, security system allowing visibility of two cameras, custom audio surround sound system and thermostat. Custom wine storage, three balconies, and theater room with 112” HD projector help make this a perfect single family home alternative. Two prime parking spaces included with a third space available.